It's soup season and I'm always looking for new recipes to try. This week, I made this delicious Chicken Enchilada Soup and it's everything I love about chicken enchiladas all in a bowl. Boneless, skinless chicken breast slowly simmers in a soup of enchilada sauce, chicken broth and milk. Joining in the mix are kidney beans, tomatoes, sweet corn, onions and bell pepper. 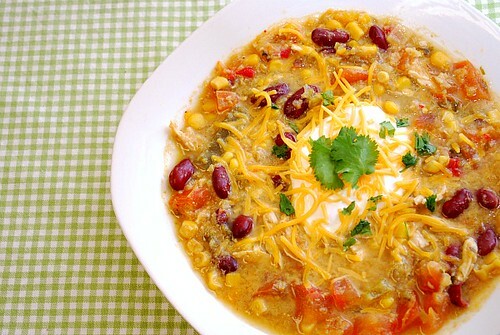 This is a hearty soup of a Mexican favorite dish! Making soup couldn't be any easier with the use of a crockpot! This dish comes together quickly and easily by combining everything in a crockpot insert, turning the dial and letting it cook for hours. The star of this dish is the enchilada sauce. Originally, red enchilada sauce was used but I adapted the recipe to use green enchilada sauce instead. Also, to help thicken this soup, a roux of butter and flour was part of the original recipe. To make it slightly different and gluten free friendly, I used a slurry of cornstarch and water, which not only thickened the soup but gave it a nice sheen. 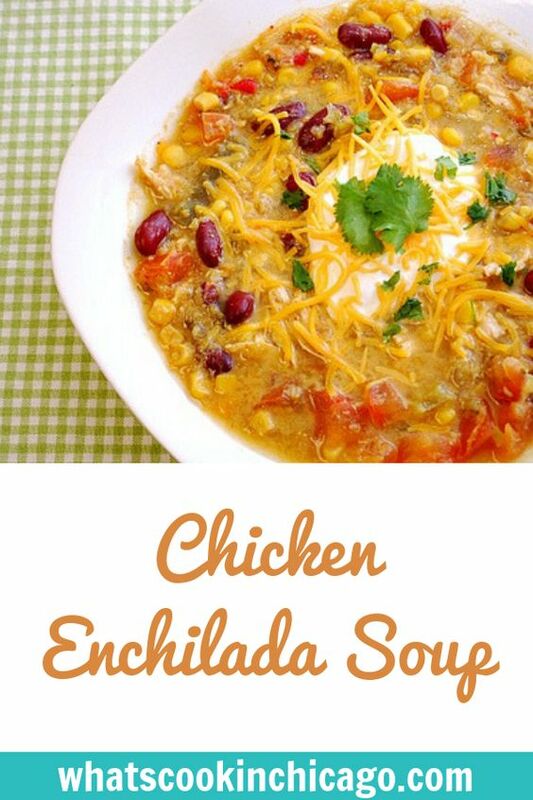 In a crockpot, combine drained beans, tomatoes, corn, onion, bell pepper, green enchilada sauce, milk and chicken broth; stir to combine. Place the 2 whole chicken breasts into the crockpot and cover. Cook on low heat for 6 to 8 hours or on high for 3 to 4 hours. Remove chicken and cut or shred into bite-sized pieces. Add chicken back into the soup. Combine the cornstarch and water to make a slurry; stir into the soup to thicken slightly. Joelen, you've read my mind! I've been craving enchilada soup but these crazy fall temperatures in SoCal are keeping me away from any hot soups! (And cold soup? No thanks!) :) This looks fantastic!